Life-long Hastings resident Vicki L. Dirks, 68, passed away Friday, October 19, 2018, at Mary Lanning Healthcare, Hastings, NE. Services are 10:30 a.m. Thursday, October 25, at All Saints Chapel-Good Samaritan Village in Hastings with Chaplain John Mueller officiating. Burial will be at Parkview Cemetery in Hastings. Memorials may be given to the Sutton Education Foundation. Visitation will be 1-8 p.m. with family present 6-8 p.m. Wednesday at the funeral home, and one hour prior to service at All Saints Chapel. Vicki was born August 27, 1950, in Hastings, NE. She was baptized and confirmed at First Presbyterian Church in Hastings. She graduated from Hastings High School in 1968 and with distinction from Hastings College in 1972 with a degree in elementary education. Vicki served as a First Grade and Kindergarten teacher at Sutton Public Schools for 43 years until she retired in 2015. Her true passion was the care and education of the children. She was a long-time member of the Nebraska State Education Association and the Sutton Education Association. 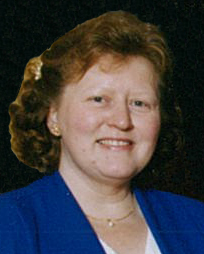 Vicki loved taking bus trips and cooking for family and friends. She also loved being outdoors in her vegetable and flower garden. Vicki was preceded in death by her parents, William R. “Bob” & Marian Dirks.